Daniel was born c.August 1894 near Granard, the son of Michael Connell a stonemason and his wife Roseanne. 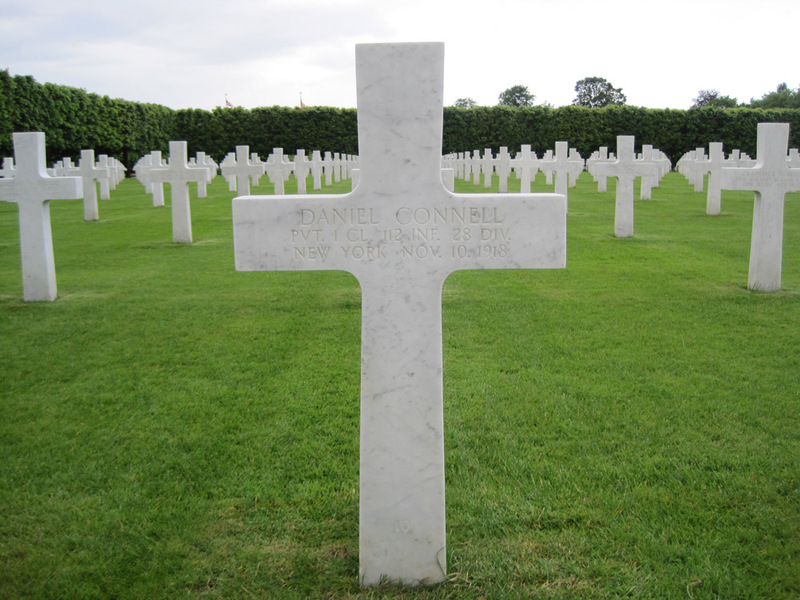 Pte Connell enlisted in the U.S. on June 2nd 1917 and saw battle at Volvre and and Bois de Beney in France between July and November 1918. Son of Michael Connell and Roseanne (née Regan? ), Granard. His uncle, John Connell, who lived at 1110 Leavott Street, Chicago, was formally notified of his death.